Year 2015 was a tough time for the automaking company Volkswagen. Due to some controversies they faced huge losses; however at the Geneva Motor Show they made the much needed knock with Volkswagen Phideon 2017. The model comes with an elegant body design and comes loaded with state-of-the-art technology to make your driving experience better. 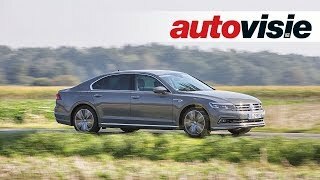 Let us have a look at the review of Volkswagen Phideon 2017 to know in detail about it. Volkswagen didn’t share the photographs of the interior of Volkswagen Phideon 2017 but they did present a couple of details in their press release. The model offers sufficient space for its five-passengers and on other it has the comfort with luxurious touch. The seats can be adjusted electrically and feature seat ventilation and heating with massage function. Adding further to its looks, the model has wrap-around ambient light strip, which with its three color options give the spacious interior touch of lounge. Further adding to technology, the model has a head-up display, projecting all the vital information onto the windscreen and a modular infotainment that supports CarPlay and MirrorLink. Thus rounding up the interior details of Volkswagen Phideon 2017 I would call it a perfect blend of technology, looks and comfort. The exterior of Volkswagen Phideon 2017 features a sportive sedan adorned with elegant styling. Starting with the front fascia it has a newly designed wide grille featuring horizontal slats. On the either corners we have LED headlamps while the character lines further add to the glory remarkably. Getting to the rear fascia, things carry a bit of resemblance with the Passat and C Coupe GTE. Especially the taillights and the chrome inserts that follow the two-tier design pattern will remind you these two models. The lower section of the model gets a chrome strip wrapping it around while the stainless steel exhaust adds to a high-end touch. 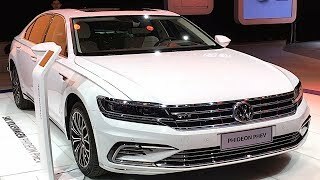 Thus rounding up the exterior details of Volkswagen Phideon 2017 I would call it simple yet elegant. Beneath the hood of Volkswagen Phideon 2017 will be a 3.0 liter V6 engine generating total output of 296 hp and peak torque of 440 nm paired to an all-wheel drive system. The performance figures of Volkswagen Phideon 2017 are still to come, but we assure you to present the same as early as company unwraps them.